Sharon is a former member of seminal Scots-Irish band THE WATERBOYS and a celebrated solo Artist. The last few years for Sharon have included worldwide airplay with the song GALWAY GIRL from the HILARY SWANK FILM ‘PS I LOVE YOU’. Sharon also performed live for President OBAMA when he visited Ireland in the summer of 2011 — making him the second US President that she has played for. Sharon played Dublin Ohio Irish Festival, Edmonton Folk Festival, Milwaukee Irish Festival in 2014. More about Sharon: SHARON SHANNON has music at her fingertips….literally! 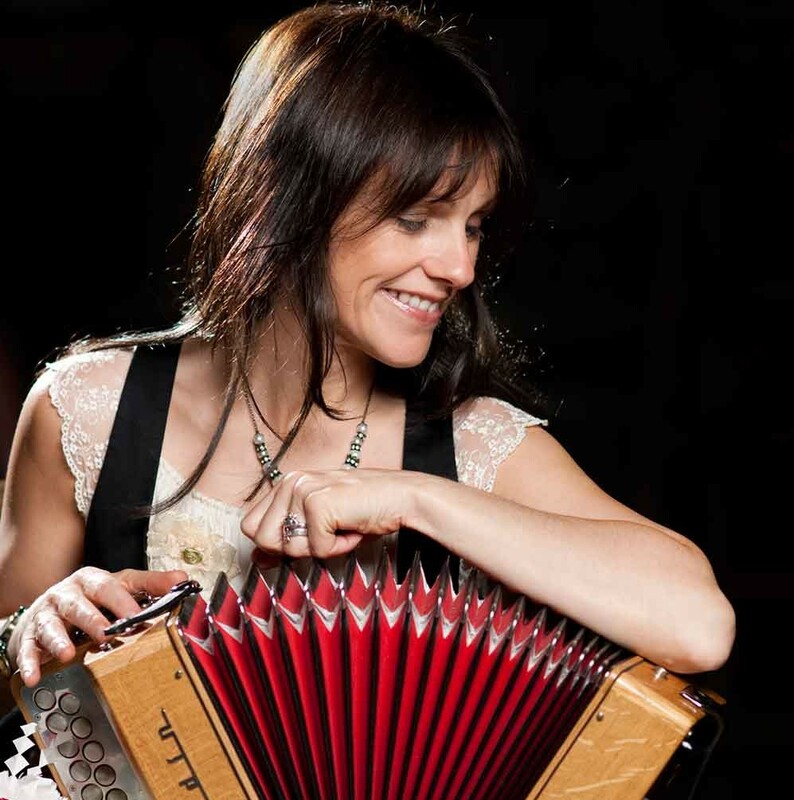 The accordionist from Ireland has achieved legendary status throughout the world and has made the much maligned accordion ‘cool’ in her home country. She is renowned for her collaborations, not just in Irish traditional music, but through all musical genres. Sharon Shannon has been a musical icon for over 20 years. Traditional Irish music is her background but she has been fearless in her musical exploration having defied genres and woven her unique style through country, French-Canadian reggae, hip-hop, dance and classical. At various times, Sharon has collaborated, toured and recorded with Bono and Adam from U2, Steve Earle, Jackson Browne, Nigel Kennedy, Willie Nelson, John Prine, and Christy Moore. She has performed for US Presidents Clinton and Obama, entertained Irish Presidents Robinson and McAleese, and recently Michael D. Higgins. Several of her albums have been platinum selling and she has had Number 1 albums and singles including the Steve Earle penned The Galway Girl performed with Mundy, which was featured in the movie PS I Love You and the Bulmers TV ad campaign of 2008. She has contributed music to many TV shows and some feature films including Neil Jordans Ondine. She has received several industry honours including a Meteor Lifetime Achievement in 2009. Sharon’s Big Band shows with guests such as Shane McGowan, Imelda May, Mundy, Damian Dempsey, and Jack L have played at Festivals worldwide for the past few years including Glastonbury, Cambridge, Sydney Festival, Electric Picnic, Lorient.